In December 2017, High Fidelity announced the launch of Avatar Island, a Virtual Reality (VR) space where High Fidelity users can purchase items for their avatars, all contributed by digital artists from around the world, and pay with High Fidelity’s own blockchain-based cryptocurrency, the High Fidelity Coin(HFC). High Fidelity is a next-generation platform for Virtual Reality (VR) worlds developed by Philip Rosedale, the creator of the once very popular Second Life. Despite a very promising start, Rosedale’s previous creation never achieved mass popularity. But perhaps Second Life was just too advanced. “[The] most surprising thing about Second Life is not that it's still a thing, but that 13 years after its inception, it is still way ahead of its time,” noted a 2016 Motherboard story. High Fidelity supports next-generation VR interfaces that could give it a critical boost in usability and appeal. Perhaps the release of “Ready Player One,” Steven Spielberg’s film adaptation of Ernest Cline’s cult book, scheduled to be released in the U.S. on March 29, 2018, will give VR and High Fidelity a boost toward critical mass. In September 2017, High Fidelity announced that it was developing a blockchain for intellectual property protection and an in-game cryptocurrency. In February 2018, the company introduced a key feature in the HFC ecosystem: the ability for users to pay other users directly, with HFC. HFC person-to-person payments can be either given “in-hand” to another user that is nearby in the virtual world or sent to a connection in the user’s friends list. 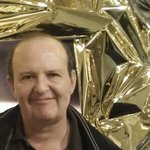 In an interview with New World Notes, a blog focused on VR and virtual worlds, Rosedale argues that blockchain technology is well suited to social VR payment systems. Replying to a VentureBeat post, in which fellow VR developer Adam Frisby criticized blockchain technology saying that it isn’t ready for prime time, Rosedale defended High Fidelity’s choice. Frisby’s point is that current blockchain-based transactions can’t be fast, low-cost and decentralized at the same time. In the real world, cryptocurrency systems are still far from the efficiency and throughput (transactions per second) of the major credit card networks. Similarly, in game worlds, “some of the largest online game economies manage more than a million user-to-user transactions per day, instantaneously, with no fees,” says Frisby. “And yet, I can name half a dozen startups trying to inject an expensive and slow blockchain into this very problem.” Frisby is also unhappy with the fact that lost cryptographic keys can’t be recovered. Rosedale’s answer to the last point is that the keys are entirely in the hands of the user, which is a good thing. Rosedale also pointed out that the High Fidelity permissioned blockchain is up and running and has 2-second settlement times. High Fidelity opted for a new, public but “permissioned” blockchain, because the Bitcoin and Ethereum blockchains have limited throughput and high transaction fees, which makes them unsuitable for HFC. The High Fidelity blockchain is based on the Elements codebase from Blockstream. Rosedale argues that social payment systems for global VR worlds should be open to people without credit cards, and should support direct user-to-user payments with seamless cross-border transactions. For example, content creators need the ability to sell their creations to customers that may be located anywhere. The market for virtual goods can be significant. At the apex of Second Life’s popularity in the late 2000s, thousands of developers were able to earn a full living by selling virtual creations. If, as Rosedale and his team hope, High Fidelity will achieve and exceed Second Life’s past popularity, the High Fidelity marketplace could play an important role in the gig economy. According to Rosedale, the only viable solution for social payment systems in global VR worlds is to use either a cryptocurrency or a custom-built solution. Since a full, global custom-payment system is expensive to develop and maintain, blockchain technology is the best option. “The cryptocurrency approach shares the work with other companies because the actual exchange of local currency into or out of the cryptocurrency can be done by an exchange,” says Rosedale. In a conversation on the High Fidelity forum, Rosedale said that HFC will be traded on external cryptocurrency exchanges soon. 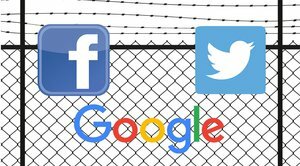 “We will probably start by establishing simple ways to exchange HFC for the larger cryptocurrencies like ETH or BTC so that people can start making money from their content creations,” he said. 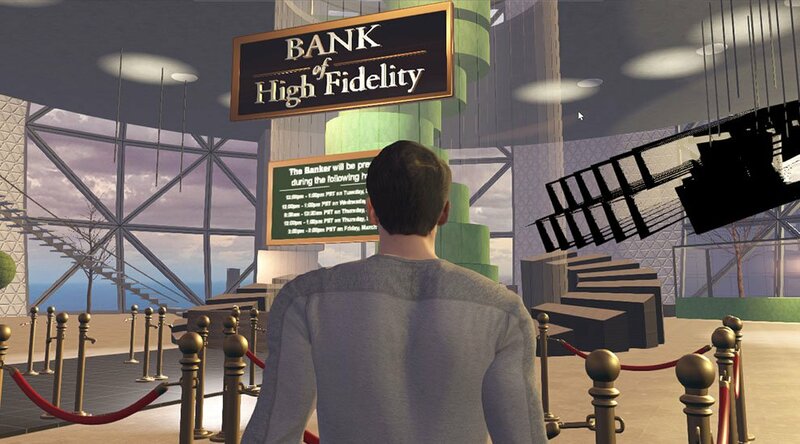 At this moment, High Fidelity is giving initial HFC grants to users, but the only way for users to obtain HFC is to “physically” (that is, virtually) go to the “Bank of High Fidelity” and meet with High Fidelity staff. In the future, the HFC could be linked to an ERC20 token on the Ethereum blockchain, which could enable smart contracts in the High Fidelity economy.